There are so many myths about pensions that people tell me, that I thought it was time to correct a few misperceptions. Planning for retirement is and can be quite a daunting tax, so knowing what you need to know is very important. And correcting misguided beliefs, might just help you avoid some big mistakes. Here are the top 10 myths exposed. My property is my pension – Well it might be, but the chances are it won’t. We all need somewhere to live and not many of us really want to downsize our lives so much so that we have enough money to fund retirement. I can’t start a pension until I am 22 – Absolutely not true. You can even start a pension before you leave school or even before you have an income. If you are fortunate to have generous parent or grandparents, up to £3,600 a year can be invested into a pension even if you are younger than 16 and not working. I don’t earn enough to save into a pension – The old adage goes, “if you can’t afford to, you can’t afford not to”. Put simply, no matter how low your income may be, it is essential to get into the habit of saving something even if it is very little. Learn the habit of saving early and stick with it. If my employer goes “bust” I’ll lose my pension ­– Again not true.Your pension fund belongs to you and your employer cannot take that away from you under any circumstances. It is yours and yours forever. I have to invest loads for it to be worthwhile – Well of course that would help, but there are 2 other factors that will be working for you. Time and investment returns. The longer you are investing for, the better. And making sure that you have good performing investments is really important. Once I start a pension, I can’t stop­ – Not true. If you really have to, you can stop investing if you fall upon hard times. If you do have to stop, as soon as you can restart again, the better. My pension will be lost if I die before I retire – Again not true. You can nominate your pension to go to whomever you want, should you die young. Even though you will not benefit, someone in your family will. The pension company does not keep your money. I have to buy one of those annuity things when I retire – Not true. Of course you can if that what works for you. But you can also draw down on your pension when you retire choosing how much money that you need and how often. I have to take my pension all in one go – Not so. You can phase taking money out of your pension, taking what you need and when you need it. This is ideal if you plan go from full time to part time working before you retire. The state will look after me – Not anytime soon they won’t. As much as this sounds a great idea, we simply cannot afford to do this, which is why the State Pension provides a basic level of income at best. 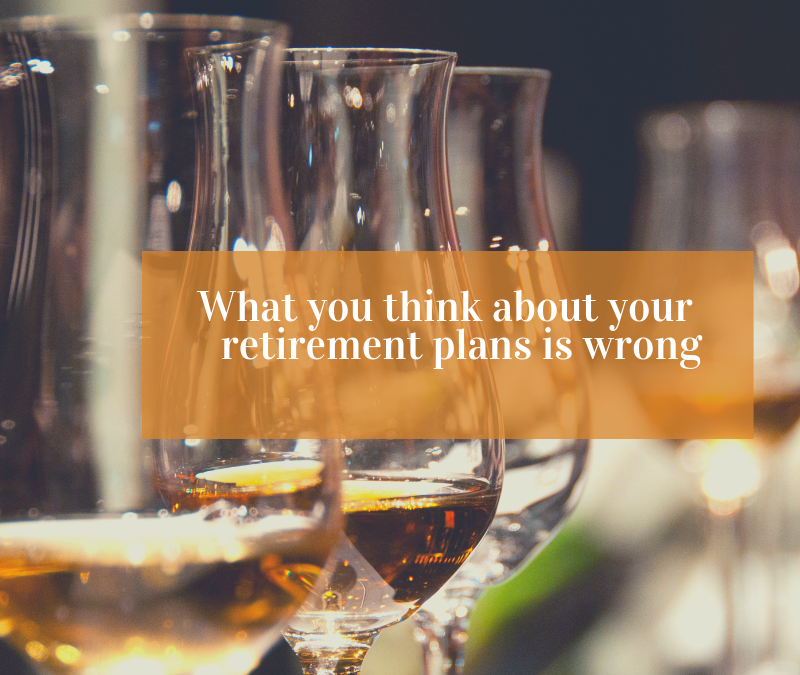 Are you planning for a fantastic retirement? Not sure if you are on track? Contact us to today. We can review your current situation and let you know what options are available to you. If you would like to talk to about financial planning, please get in touch for a no-obligation meeting. Go to our website www.miadvice.co.uk and contact us via our “Get in touch” form on our home page or Contact Martin Dodd on 01902 742221. It is advisable to take advice from a professional financial adviser when making major financial planning decisions. This article has been prepared in good faith and based on Midlands Investment Agency’s understanding of the law and interpretation thereof at the time of creation. The contents should not be regarded as specific advice and we always recommend that specific advice is sort from a qualified professional. No responsibility can be accepted by Martin Dodd or Midlands Investment Agency Ltd., for any loss that may occur by a person acting or refraining from acting on the basis of this article. Has property investing had it’s day?